Don’t know your Goalbooks from your Webbies? Soft-touch Italian leatherette cover incorporating an embossed Rhodia logo. A quality and durable outer. An expandable pocket at the back of each notebook. Handy for storing any loose papers or cards. Rhodia’s excellent quality paper – luxury 90g ivory vellum paper, super smooth, acid-free and pH neutral. The Rhodiarama range provides a rainbow of colour choice. There’s a shade to suit everyone – 15 main colours. The Goalbook and the Softback notebook are also available in silver. OK, lets take a peak at each of the books individually. The A5 Rhodiarama Goalbook is Rhodia’s version of a bullet journal and is currently available in A5 size only. The Italian leatherette soft cover incorporates Rhodia’s embossed logo along with [goalbook]. 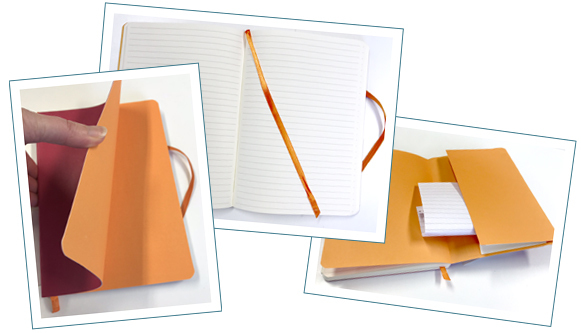 The inside covers are Rhodia’s classic shade of orange, which matches the two ribbon page markers and the elasticated closure band. The glued, flexible spine ensures that this notebook can open flat. The first 6 pages are laid out as a contents section for easy referencing – the notebook pages are numbered. There’s then 2 perpetual calendars January-December by day, and January – December by month. Goalbooks are available in a 5mm x 5mm square grid and dot grid page layouts. Finally, the rear inside cover houses the Goalbook’s expandable pouch, to house any loose papers. Click here to view the Rhodiarama A5 Goalbook in our shop. The Rhodiarama A5 softback notebook is slightly slimmer than the other two books in this comparison. It houses 80 sheets of 90g ivory vellum paper. Again, the Rhodia logo is embossed into the Italian leatherette soft cover. Rhodia’s classic shade of orange features on the inside covers, the ribbon page marker and the elasticated closure band. This is a lighter notebook than the other two, so may be preferable if carried around and weight is a consideration. The Softback Notebook is available in lined and dot grid page layouts. The glued, flexible spine ensures that this notebook can open flat. 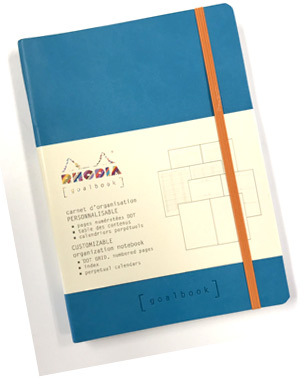 To view the Rhodia Rhodiarama A5 Softback Notebook in our shop, click here. The Rhodiarama Webnotebook, affectionately known as “the Webbie”, is the only hard cover book in this comparison post. The Italian leatherette cover, with embossed logo, has durable rounded corners.  There’s 96 sheets, with a choice of lined or blank pages to suit. There’s also Rhodia’s classic orange ribbon marker & elastic closure. What really makes these notebooks zing is the inside. 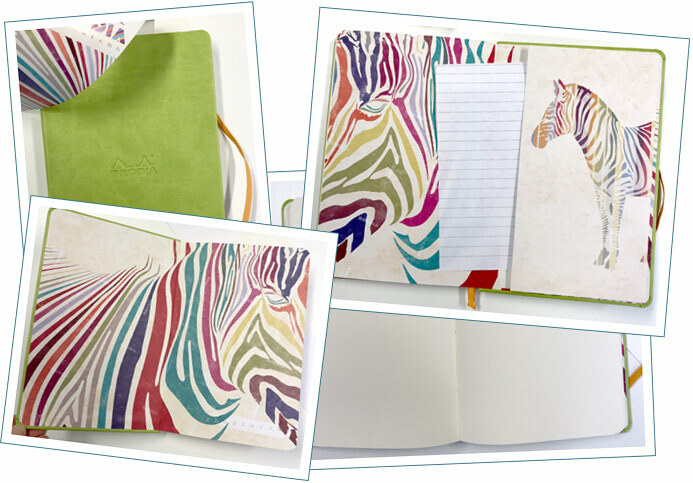 A colourful change to the other inside covers; a rainbow Zebra, who keeps loose papers company in the expandable internal pocket. 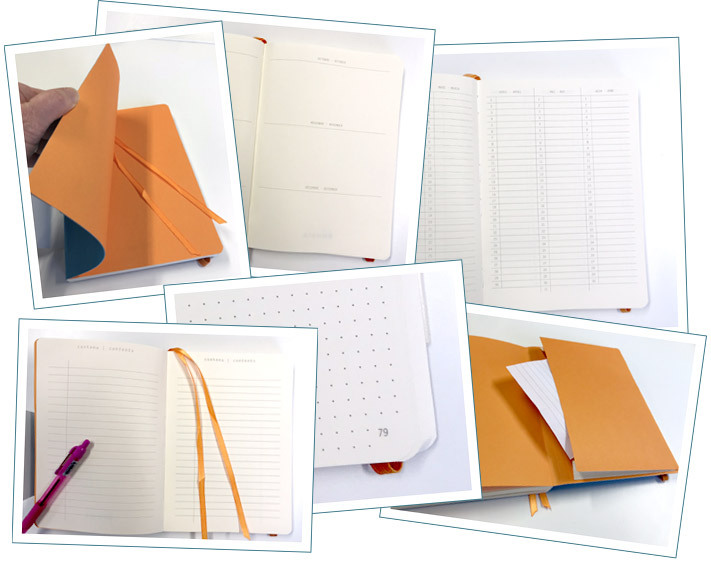 To view the Rhodia Rhodiarama A5 Webnotebook “Webbie” in our shop, click here. So, there you have it. 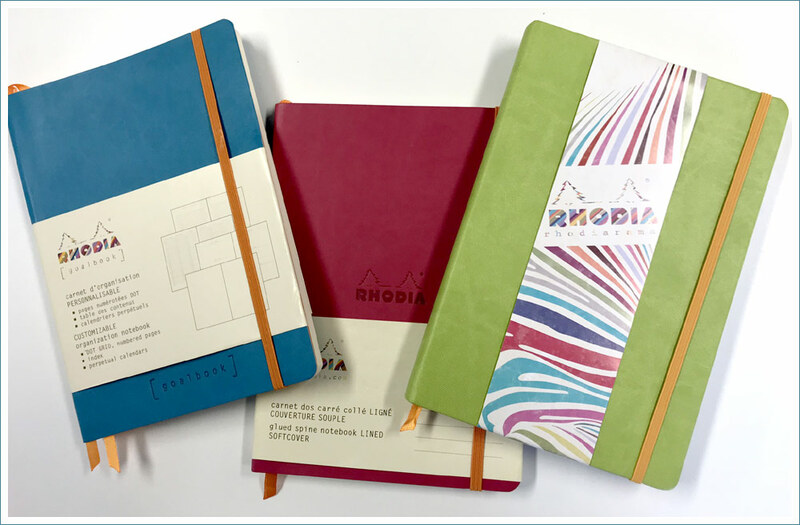 A roundup of three of Rhodia’s Rhodiarama notebooks, which is hopefully useful if you’re looking to find your perfect notebook. If you’re a Rhodia fan, which one is your favourite?